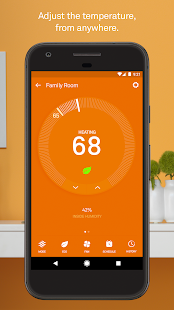 GSK Climate Control, Inc. – Your Local Nest Pro | GSK Climate Control, Inc.
Are you looking to update your old eyesore of a thermostat to a tech-savvy, energy-saving alternative? Nest Thermostats are easy to use and save energy – not to mention, they look great on the wall, with numerous color options to pick from. Additionally, incentivized ‘Smart Thermostat Rebates‘ through Efficiency Vermont cover almost half the cost of your Nest thermostat purchase. Home automation is a trend that’s not going away. Enjoy remote connectivity from your phone with the ability to monitor and control your HVAC system from anywhere! Nest thermostats have numerous features including high and low safety temperature alerts. 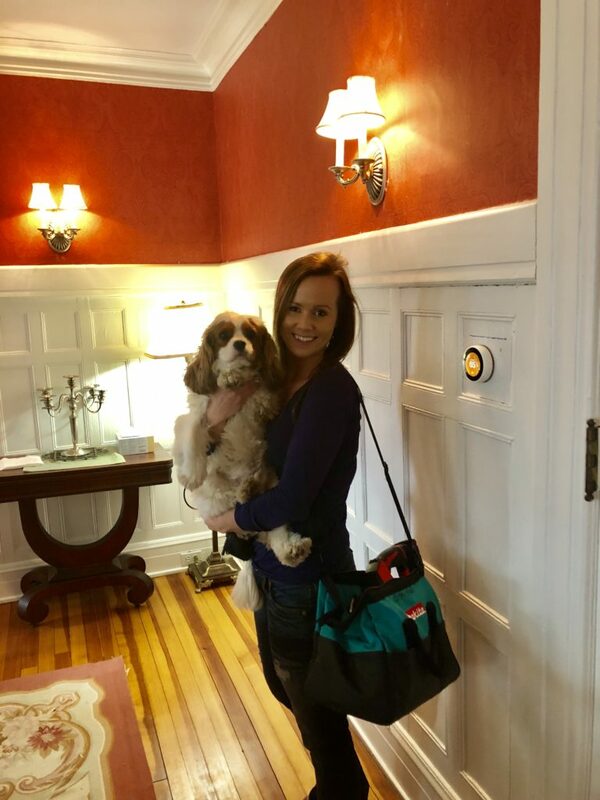 A huge money saving feature for all home and business owners, especially vacation homes! Based on your safety temp. settings, Nest will alert you via the Nest app and email if your home falls above or below your pre-set safety temps- possibly saving your home’s heating and plumbing from a costly freeze situation! Here in Vermont, a heating system failure during the coldest days of the year is more common than you think! Almost half of your home’s energy usage is related to your HVAC system- accounting for approximately 44% of your home’s energy use. Using your Nest Thermostat to create schedules, setback temperatures when no one’s home and at night, and monitoring your energy usage with the Nest energy reports are all easy and effective ways to lower the costs of heating and cooling your home. Studies show Nest users, save on average 10-12% on heating and 15% on cooling – a savings of about $140 each year! Other great features include weather reporting based on your home’s location, daily scheduling options, home away/assist – which lowers the temperature of your home when you leave the house, and energy usage history. 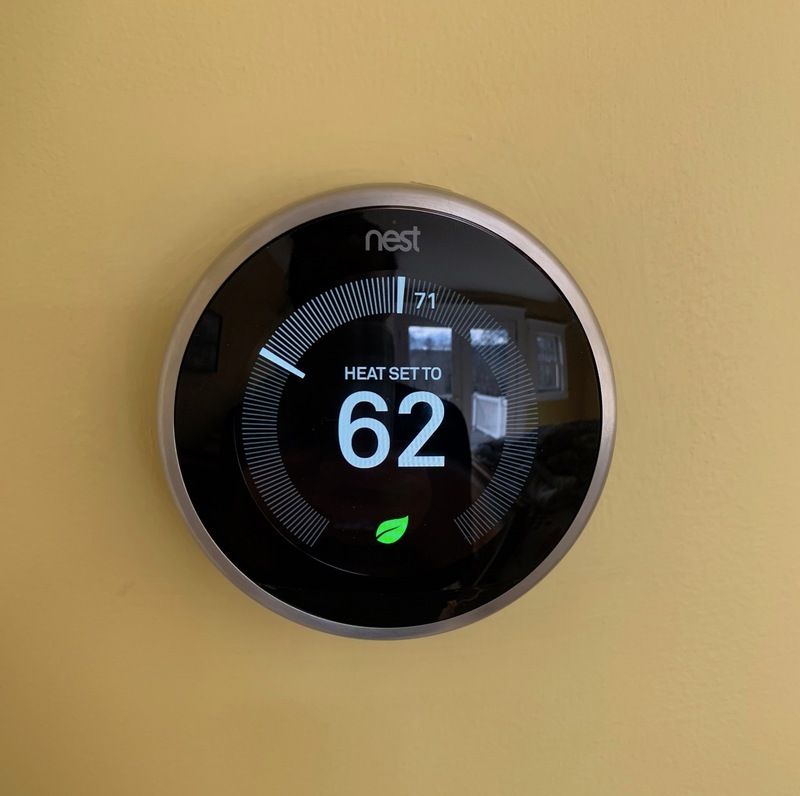 Nest thermostats use algorithms to learn your daily schedule and automatically adjust the temperature to your ideal settings after a few weeks of utilizing the thermostats programming features. Nest products can also integrate with other smart home devices including their Nest CO Detectors and Google Home. The Nest Learning Thermostat’s color options include: copper, stainless, black, and white finishes to compliment any decor in your home! Professionally-installed smart thermostat installs in Vermont, are eligible for Efficiency Vermont’s ‘Smart Thermostat’ Rebates. Up to two thermostats per Vermont electric account qualify for the rebate – with up to $100 cash back per thermostat! As a certified Nest Pro installer, GSK Climate Control, Inc. is able to extend the warranty on all Nest Installs an additional 3 years from the standard 2 year coverage to a total of 5 years warranty coverage. The Nest warranty covers the cost of a new thermostat, excluding labor. 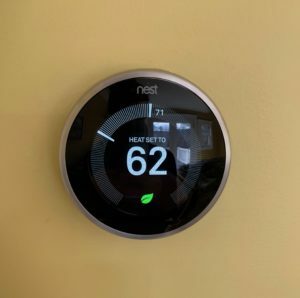 If you have both a heating and cooling system in your home, it’s important to note that your Nest installs will require enough thermostat wiring for a ‘common’ connection at the thermostat terminal to power the display. When not enough wires are present, new wiring will need to be run from your HVAC system to the thermostat’s location. We also recommend, Nest user’s have high-speed internet versus slower DSL or out-dated options. Certain DSL and older-model routers are not compatible with Nests. Nest Thermostats offer an economical, user-friendly approach to automating the most energy-consuming aspects of your home – your HVAC system! With the Nest thermostat, the average homeowner can monitor and adjust their home’s energy use and comfort from virtually anywhere via the remote Nest app, available for IOS and Android devices, as well as PC and Mac computers! Experience streamlined home automation and considerable utility savings, contact GSK Climate Control for your Nest thermostat installs!